I spent 4 days in the Cerro Colorado area from 23 to 26 January with Ramón Pineda Jr as guide. Most notably, we found a young Glow-throated Hummingbird (Selasphorus ardens) being fed by its mother, both of which were photographed. 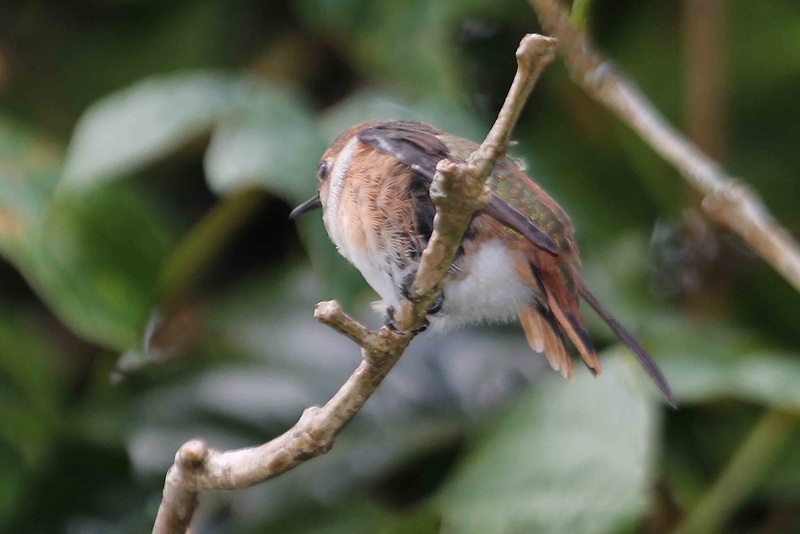 I base the identification as Glow-throated mainly on location (4km east of Cerro Flores on the new road to Llano Tugrí, at 1250m) and the white bellies of the birds. 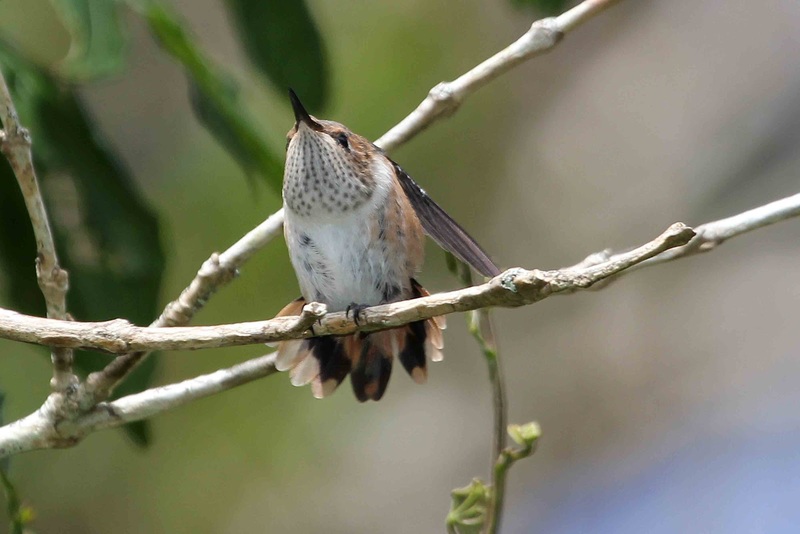 According to all books and my own experience, the Scintillant is not found to the east of Cerro Flores, and according to Ridgely, the very closely related female Scintillant Hummingbird (Selasphorus scintilla) has a cinnamon belly. My theory after several visits is that the dividing line between the ranges of Scintillant and Glow-throated Hummingbirds is the ridge that separates the San Félix and Tabasará river basins. Cerro Flores forms part of that ridge. The “main” road to Cerro Colorado runs more or less up that ridge, then turns off it slightly to the west at about 1500mt and after peaking at over 1600m continues west along the Continental Divide. Selasphorus hummingbirds are common to abundant at certain times of the year on that road—especially on or close to the Divide. Occasionally young males with partial gorgets are seen amongst such birds, and to my mind they all show the orange-red color of Scintillants (though not everyone will agree with this). An adult male killed by local children in Ratón (just to the west of Cerro Colorado) in September was photographed and was clearly a Scintillant. But in the last few months all these birds have disappeared. It is my belief that all or nearly all those birds are Scintillants that head westwards at this time of the year to breed nearer to Volcán Barú. 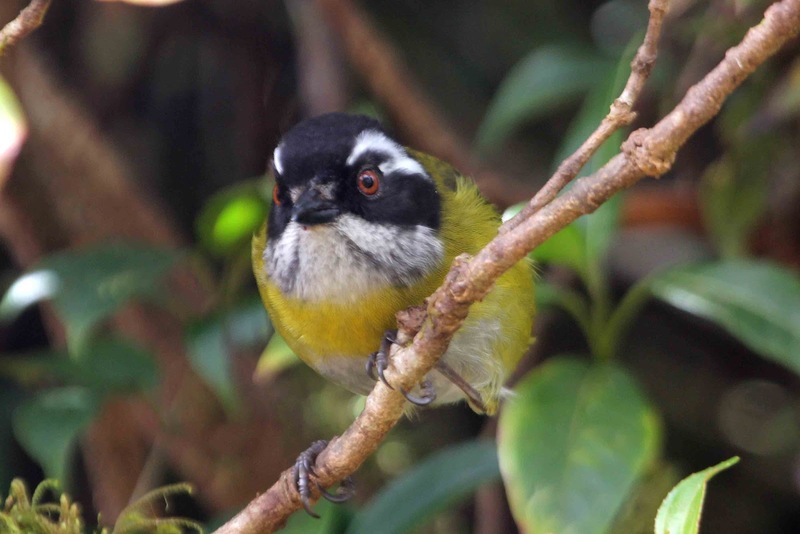 As far as Glow-throated is concerned, this theory is supported by Wetmore, but not by Ridgely, who suggested that Glow-throated was the dominant species “above Cerro Colorado”—i.e. on the main road—and Scintillants found in the area were “wanderers”. I believe that the reverse is true. Unfortunately no male Glow-throateds were seen this time, but its quite likely that they are in meadows off the road in the same area where we saw the female and young. To enter such off-road areas you must get the permission of the landowner. Failure to observe this rule may get you locked up in the nearest village, or put in the “cepo” (stocks). 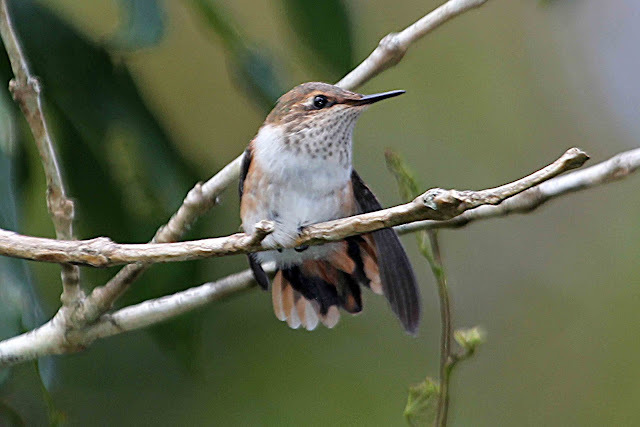 Magenta-throated Woodstar was again common along both roads with several males displaying their gorget which—according to Wetmore—is exactly the same colour as that of the Glow-throated Hummingbird. The Woodstar is definitely a confusion species (and should be mentioned as such in literature) and may account for some of the reports mentioned by Ridgely of supposed Glow-throated Hummingbirds “above Cerro Colorado”. 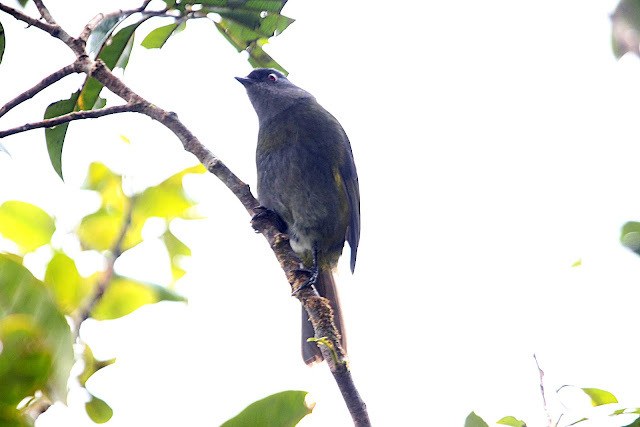 Black-headed Nightingale Thrush was again common in the same area as the Glow-throated Hummingbirds. One was glimpsed crossing a small open area, and the back was more ruddy than is indicated in book illustrations. Another noteworthy sighting was of a Fiery-throated Hummingbird in a small clearing caused by a tree-fall west of Cerro Colorado, on the Continental Divide at 1750m. This is a range extension, similar to those we have reported previously for other species. 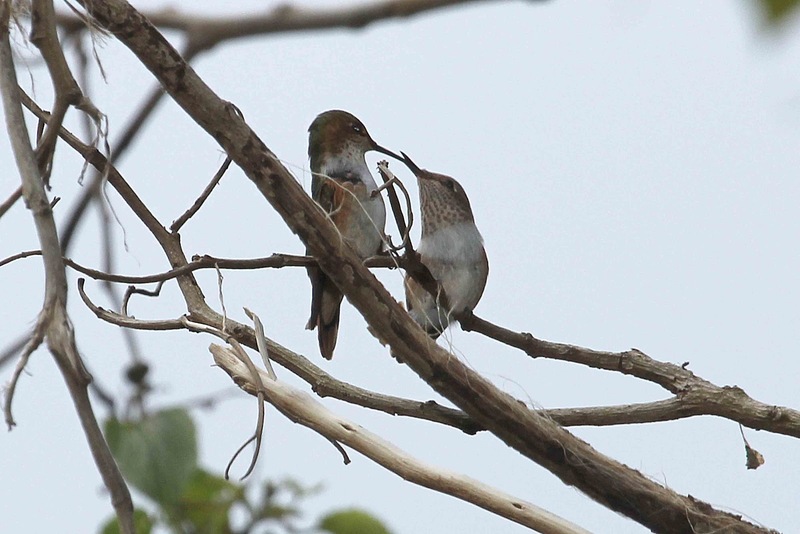 Also of interest was a pair of Brown-billed Scythebills. We went a little way down the Atlantic slope to about 1500m and found that Yellow-green Finch is if anything more abundant there than on the Pacific slope. 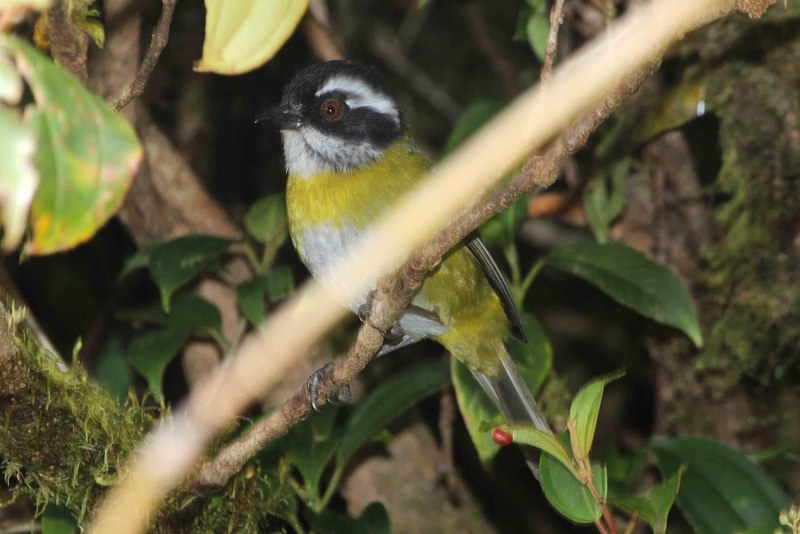 Blue-and Gold Tanager was seen, well above its normal altitudinal limit. 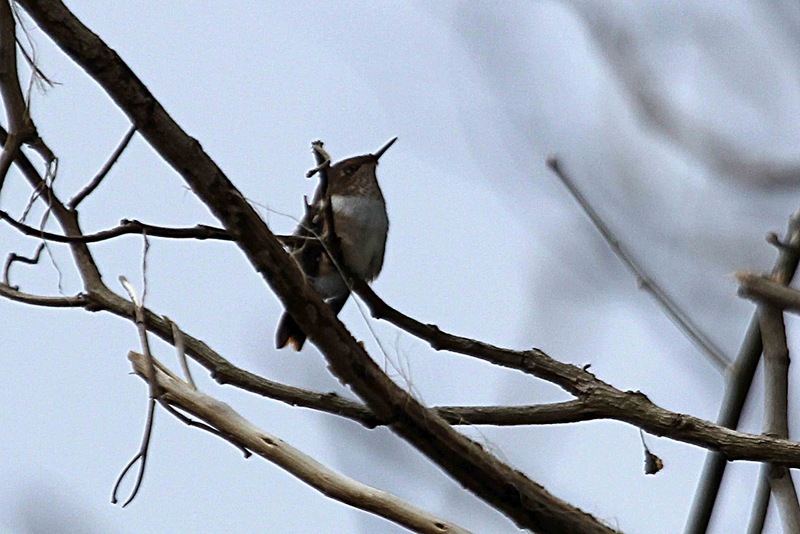 Amongst other species were Plain Antvireo, Buffy Tuftedcheek and a whole tribe of Ruddy Treerunners. 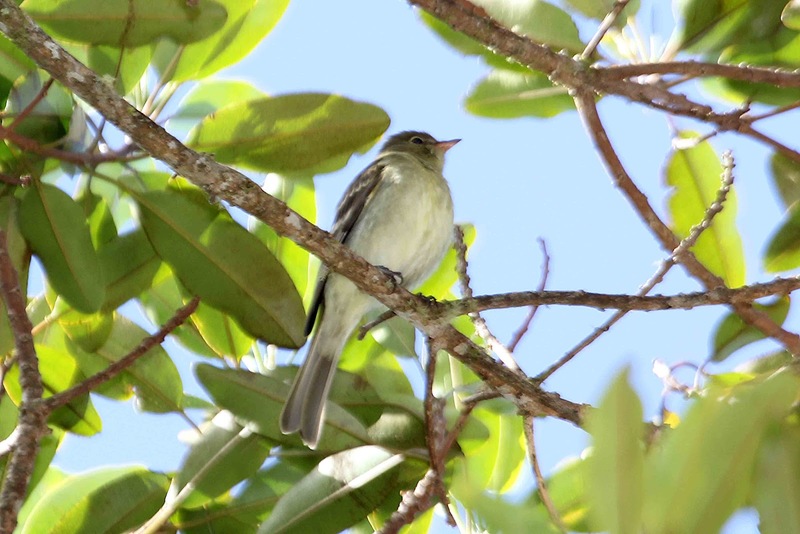 A presumed Yellowish Flycatcher looked completely different from the illustrations in Ridgely and in Angehr, having a huge yellow eye-ring, a light yellow head and underparts and prominent broad yellow (not buffy) wing bars. [Bonus photos: Sooty-headed Bush-Tanager, Black-and-yellow Silky-Flycatcher, Mountain Elaenia].